The MBA deployed a Shower/Laundry DR team to Lee County. As part of deployment, insurance is provided for each volunteer. Assistance is offered to maintain the Laundry Trailer & provide supplies. Donations given to the DR ministry of the MBA will go directly to these expenses. What Abby Johnson saw changed everything - UNPLANNED, the movie is coming to Mobile and Spanish Fort. FREE pre-release viewing of the movie UNPLANNED will be on Thursday, March 28, 2019. If you are interested, please call Mae Rehm at 251-554-2032. Mobile 16 theater, 785 Schillinger Road South in Mobile on Thursday, March 28 - Sunday, March 31, and at Premiere Cinema 14 Eastern Shore theater, 30500 State Highway 181 in Spanish Fort, times to be announced. Please go AS SOON AS IT IS RELEASED to see the movie UNPLANNED, so that the theaters will keep it on longer. If you see one movie this year, see the movie UNPLANNED. It is the true story of the conversion of former Planned Parenthood Clinic Director, former employee of the year, Abby Johnson to become one of the most ardent pro-life speakers ever. Click here to email a list of your church's participants, including their grades and the Bible translation. Pastors/Leaders are encouraged to promote this at their churches in Women's Ministry announcements and publications so the Mitchell Center will be packed and will attract more of these kind of events in the future. at 9:00 a.m. and ends at 4:30 p.m. The cost is $20 for the simulcast. The $20 (cash or check) is payable at the door. The church is providing Danish and coffee before the simulcast as well as a soup lunch, free of charge. They do need to know ahead of time how many are coming to ensure enough food. No childcare provided. For reservations and more information, contact Sue Nabb at 251.610.8576 or 251.461.3064. The Children’s Ministry at First Baptist Tillman’s Corner will host an iParenting Conference on Saturday, March 23, 2019 from 10:00 a.m. – 11:30 a.m. There will be a light continental breakfast (doughnuts and juice, etc.) served in the FLC/Gym from 9:15 a.m. – 9:45 a.m. The iParenting Conference will begin at 10:00 a.m. in the Sanctuary with a brief worship time followed by speakers Pastor Matt Day and his wife Amy from Venice, Florida. The Days have four children of their own and will share guidance on how to raise your kids in the digital age. They will discuss social media, apps, games, and much more in an effort to help parents safeguard their kids in this technology age. There will also be a magic show presented by Joe McDonald for any kids K5 – 6th grade who come with their parents. In addition, childcare will be available for birth – 4 years old in the Preschool Department. If your church group or any individuals would like to attend, we do ask that you contact the church office and let them know ahead of time, 251-661-0114. The cost is free. The church is located at 5660 Three Notch Road, Mobile, Alabama 36619. 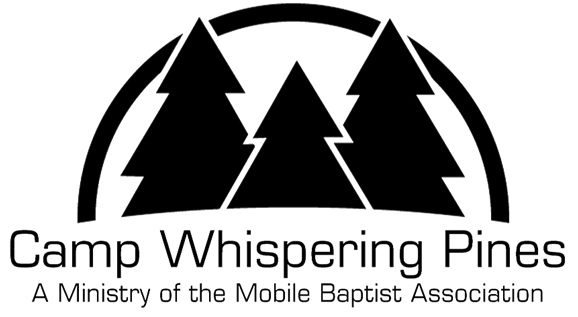 As the new church, One Hope Mobile, gets ready for a launch, they are hopeful some SBC churches in Mobile County will help with some foundational needs. Contact pastor Tim Jensen, pastor@onehopemobile.org, 251-525-1120.